For around the price of a single speeding or red light ticket ($129), California-based (of course!) GPS Angel offers a unique new service that promises to watch over you as your personal guardian against speed traps or red light cameras. The service uses a simple GPS device, dubbed the GPS Angel V4e. The device ready to use, right out of the box, just plug the power cable into your car’s cigarette lighter. 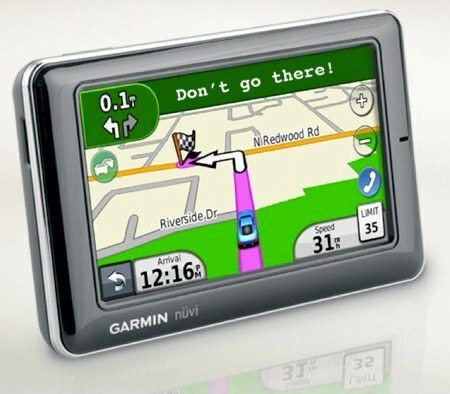 It comes pre-loaded with thousands of known locations where drivers might want to slow down or pay more careful attention. In addition, users can mark their own locations or points of interest, by simply tapping a button on the top of the device. The GPS Angel also comes with a USB cable, allowing users to download location database updates to their device or annotate their marked locations using a proprietary application downloadable from the company’s Web site. The service is currently available only in the US and Canada and is road legal in both countries. You know what we hate? Sitting in gridlock when we could be, you know, out doin’ stuff. At the very least, it’s the antithesis of the “wind in your hair,” Dean Moriarty-esque image we’ve carefully cultivated over the years. “If only,” we say to ourselves, “there was a way to find routes that were free of congestion.” Sure, we’ve heard all about your fancy real-time traffic updates — but how well do they actually work? According to a study by the GIS data and services company GPSRI, drivers that use GPS systems with real-time traffic info spend 18% less time behind the wheel than those who do not (that’s a whopping four days over the course of a single year, or enough time to watch 1 1/2 Peter Watkins films). In addition, the company says that smarter navigation has been shown to lower CO2 output by 21 percent — which is a good deal, no matter how you slice it. There’s been no study yet to determine how drastically driver performance would decrease if Bob Dylanwas the voice of your PND, but we’ll definitely keep our eyes out for that one.